Made popular in recent years by celebrities like Miranda Kerr, the blood type diet rose to fame in 1996 when American naturopathic physician Peter J D’Adamo released the bestselling Eat Right 4 Your Type. 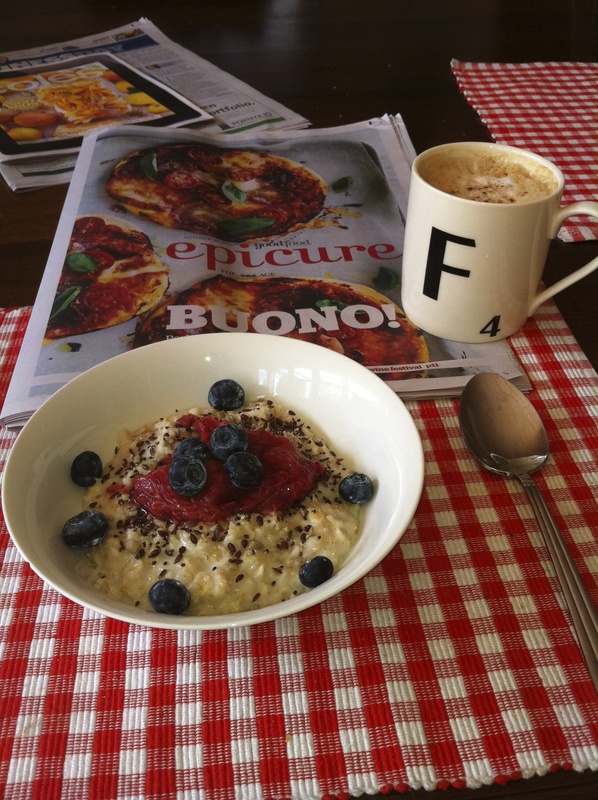 This book promotes a customised diet, varying depending on an individual’s blood type, as the key to ‘staying healthy, living longer and achieving your ideal weight.’ The celebrity factor is clearly a selling point of the diet, with endorsements from the likes of Tommy Hilfiger and Dr Oz on the doctor’s personal website. All of us possess red blood cells in our blood, which contain markers called antigens on the surface. Antibodies are found in plasma, molecules of our immune system that play a role in recognition and destruction of foreign substances. Two antigens and antibodies exist – A and B. Those with blood group A have A antigens and B antibodies; blood group B have B antigens and A antibodies. 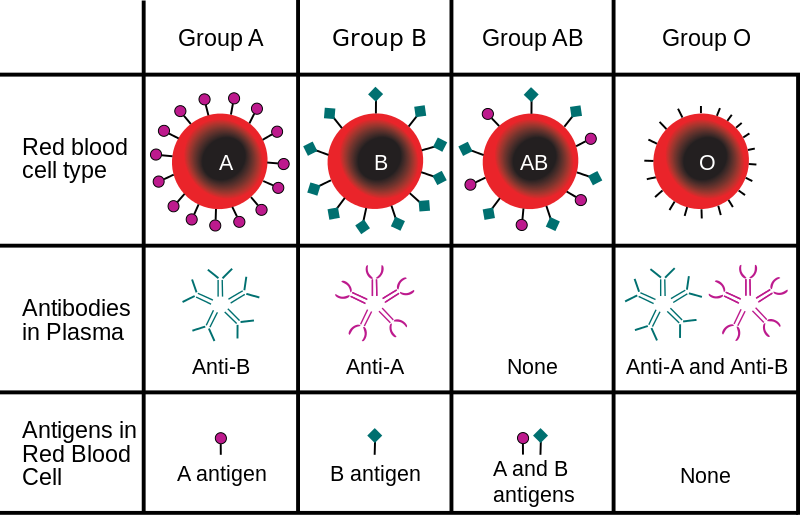 To make things more confusing, Blood group AB have both A and B antigens, and no antibodies (which is why they are known as the universal recipients, and can accept blood from donors of any blood type), and blood group O contain no antigens (Making O the universal donors, being able to donate to any blood group), and both A and B antibodies in the plasma. You might be wondering where the positive/negative comes into it. There’s actually a third antigen, which can either be present or absent from the plasma. So if you have it, you’re positive, and if you don’t, you’re negative. 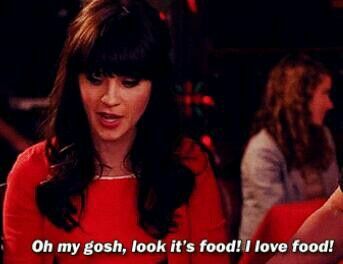 Now, onto the fun diet part! 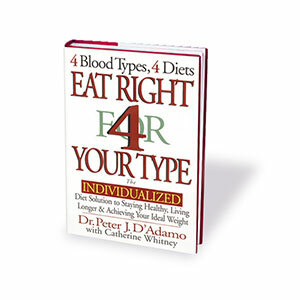 According to D’Adamo, blood types are the ‘missing link’ when it comes to diets, explaining why some of us have trouble losing weight even when we may be eating the ‘right’ foods. I think now’s a good time to talk some sense, so I’ll refer to the spot-on review dietitian Catherine Saxelby wrote on the book, in which she exposes his illogical ‘obsession’ with lectins. Lectins, as Saxelby explains, are mainly only found in legumes, and not in a wide range of food types as D’Adamo believes. They are also by and large destroyed in cooking, rendering them harmless. TYPE A: Called the ‘cultivators’ by D’Adamo, apparently those with type A blood struggled for survival, having exhausted the supplies of animals for food, so turned to a ‘nomadic’ lifestyle, cultivating grains and livestock. Apparently this led to adaptations that allow for efficient digestion of carbohydrates, explaining why Type As are encouraged to follow a macrobiotic and vegetarian diet with no dairy or meat. Reportedly they are also very highly-strung, and should partake in calming exercise like yoga – while avoiding stimulants like coffee and tobacco, as well as busy crowds and violent television. TYPE B: D’Adamo refers to these as the ‘nomads,’ as their distribution is supposedly very clearly and widely scattered. He says that those of the B group have a strong immune and digestive system, have fewer risk factors for disease and are more mentally balanced and fit than the other groups (I wonder if he’s a B?). He recommends reducing foods such as wheat, corn, tomatoes and chicken, and loading on dairy products. This is strangely contradictory, given to the widespread lactose intolerance in Asian countries – the very place in which the Type B blood group reportedly originated. TYPE AB: The rarest of blood types, these are labelled the ‘enigma’ and supposedly take on characteristics of both Types A and B at certain times. With low stomach acid and an inability to digest grains efficiently, it appears there’s not much option but to stick to the ‘seafood, green vegetables and dairy’ the author recommends for losing weight. TYPE O: ‘The hunter’, and the original blood group – allegedly. Prone to fluid retention, thyroid disorders and fatigue, us Os are encouraged to consume a high-protein, carnivorous diet (lucky me), and avoid wheat, nuts and dairy (how awful!). They are also encouraged to partake in vigorous aerobic exercise. Foods are divided into beneficial, neutral, and those to avoid, based on their supposed compatibility with your blood type. These lists are exhaustive and complicated, including different types of grains, fruit and vegetables and meats that are allowed or disallowed. If after reading all this you need some more convincing that this diet is an absolute farce, it was ranked in the top three worst diets by the Dietitians Association of Australia in 2012, (alongside the Lemon Detox Diet and the Acid/Alkaline Diet – stay tuned for this one, I plan to debunk it), and a comprehensive review of studies relating to blood type diets concluded that no evidence existed to support the need for blood type tailored diets. Of the studies compiled for review, an enormous majority were immediately discarded due to their poor design and lack of relevance. Such unscientific studies are probably the source of the many convincing statistics found on D’Adamo’s website, which of course is filled with glowing testimonials of successful weight loss (almost certainly a result of the crazy restrictive nature of the diet and the elimination of junk). Another concerning facet of the diet is the encouragement of supplements. These are understandably necessary due to the elimination of certain food groups – but they are also marketed, alongside energy bars, protein powders, teas and countless other products, through the ‘Eat Right For Your Type’ website. I’d argue that many of these products aren’t necessary if a person follows a healthy balanced diet, rather than ‘4 your type’. While it may be that no one diet fits all, and it’s certainly true that individualised nutrition is the way of the future, in terms of nutritional genomics – being able to understand our genetics, and thus eat according to our genetic blueprint – it’s been ascertained that our blood type provides no indication of what we should be eating for health. The blood type diet is totally devoid of science, and while it’s certainly possible that weight loss or overall feelings of wellbeing might accompany the plan, this is more likely due to the removal of a number of foods from one’s diet, or even the exclusion of a previously undiagnosed source of intolerance (eg. gluten or lactose). Cut out dairy? It just doesn’t sound worth it to me.